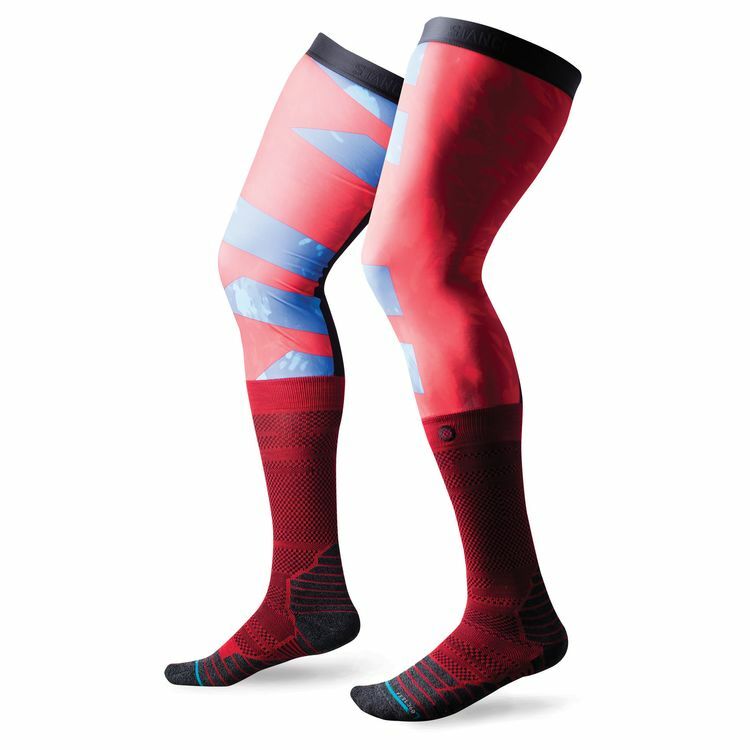 The Stance Flyer knee brace moto socks feature strategic mesh panels and a custom blend of moisture-wicking fibers. For protection against knee brace abrasion and irritation, this design stands especially tall. The Star Force knee brace design also applies compression in target areas while the elastic arch and deep heel pocket cradle the contours of your feet to offer light yet active support.